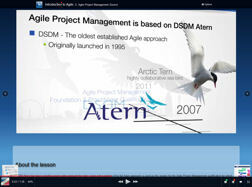 PRINCE2 Agile® Passport - is a well acclaimed and accredited eLearning for PRINCE2 Agile® Project Management. It aims to provide you with a straightforward (self-paced) route to becoming a PRINCE2 Agile® certified registered practitioner. 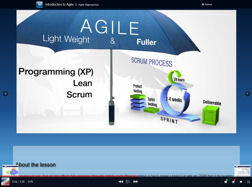 The e-Learning packages are available as web based online access. There are no pre-requisites for this product, although experience in a project environment would be beneficial. Please place an order on Groupon before the offer ends. You will be provided with a Voucher code. To Redeem the voucher, please return to this page and click on 'Redeem Now' (or call +44(0)1202 736373) against the respective package above. Enter the Groupon Voucher Code to apply the offer price. You will then be provided with your online access to the learning materials. When you are ready to take your exams please contact SPOCE to purchase your exams (note: 3 weeks advance notice is required). [All Users] Please contact SPOCE for advice on routes and options for practitioner certification and other qualifications in Project, Programme & Risk Management best practices. Please click on the tabs below (Contents, Upgrade Options, Study Time, Taking the Exam, Tech Requirements, etc) for more information. Please email offers@spoce.com, call on +44 1202 736373 or click 'Request a Callback' above for any clarifications. What does the e-Learning contain? PRINCE2 Agile® Passport is accredited for Foundation as well as Practitioner level study and qualification. Please note that when studying for the Practitioner exams, a copy of the PRINCE2 Agile® Handbook is recommended. Foundation and Practitioner exam simulations with feedback. 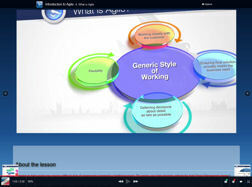 To complete the Introduction level, we recommend about 5 hours for learning and reflection. 15-20 Hours for Foundation level and approximately 25-30 hours of study (cumulative) for Practitioner level study and qualification. This study will be a mixture of computer-based training using the e-Learning, reference to the Handbook and other support documents (provided with the product), and completion of the Practical Tasks and Tests. Depending on other commitments, you will require anything from 2 weeks to 3 months to complete this learning. Purchasing this product provides you with a license to use PRINCE2 Agile® Passport for a period of 6 months from the date of purchase. During this period the product is supported to ensure that the content is consistent with the method syllabus. The e-Learning is valid for 6 months from the date of the initial purchase. Optional exams can be purchased at any time. You can choose to take your foundation/practitioner exams either online or at one of our exam centres. NEW - Take your exams online! This exam option is available using your own webcam and microphone (Valid ID required) and allows you to take the exam in the comfort of your own home at a convenient time without the need for a physical invigilator. Please note that we require a minimum of 3 weeks notice to arrange online exams. If in doubt please either contact us or check the compatibility of your device on the demo module (link below), prior to purchase.